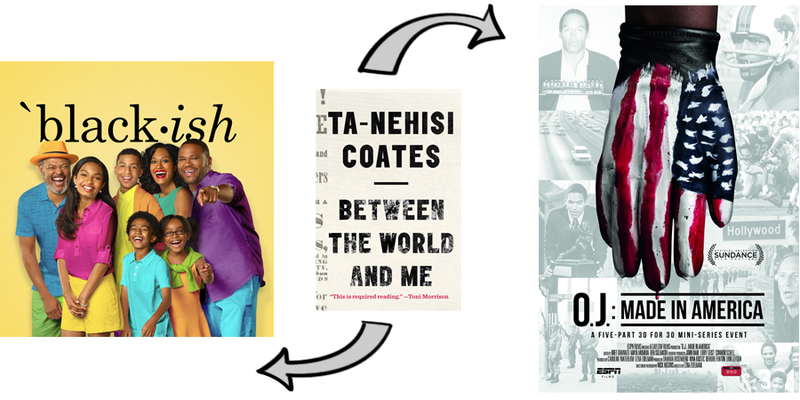 Looking for your next book club read? 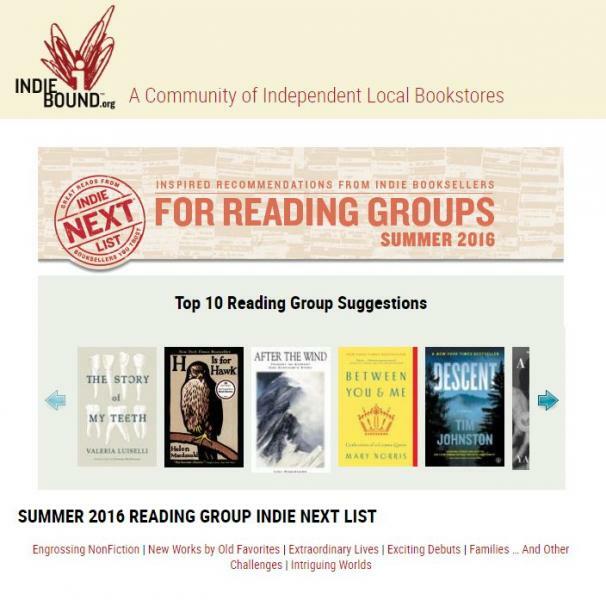 Try this list, by Indie Bound, Compliled by indie bookstores all over the northwest, there are SO many to choose from. 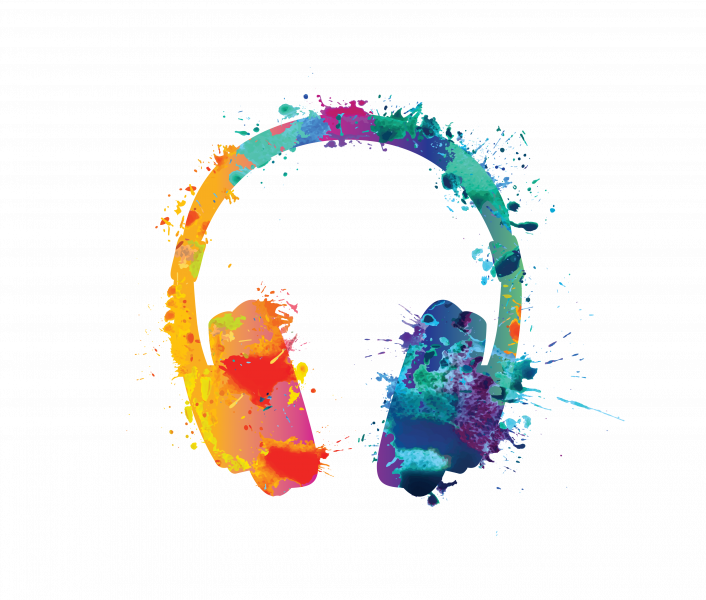 Below the current Summer 2016 list, are the previous year's lists. Be sure to browse them all! "The Poet's Dog is the new book by Patricia MacLachlan. She wrote the children's award winning book, Sarah, Plain and Tall. 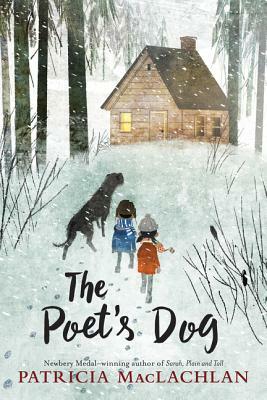 This new, small, and really beautiful chapter book is about 2 children lost in a snow storm, and the big dog that finds them. Teddy, an Irish wolfhound, brings them to his late owner's cabin to wait out the storm. They comfort and take care of each other as they await rescue. This is a perfect gem of a book filled with poetry, happiness and some sadness, that will touch the reader. Children and adults will all be warmed by The Poet's Dog." Reviewed by Inklings employee, Sue D.
"Sharon Creech (author of Walk Two Moons, and Ruby Holler, and Love That Dog among other titles) has a new book that is just out. It is called Moo, and I love it! Moo is a book about a family that moves from the big city to a small beach town in Maine. Reena and her brother Luke have been volunteered by their parents to help an old woman in the community. Mrs. Falala lives on an old farm and has several pets, including an ornery Belted Galloway. Belted Galloways are a specific breed of cow that is black in the front and rear ends, & white in the middle. This specific cow's name is Zora. Zora seemed mean at first, but as the children get to know her & work with her she gets nicer This is a book about learning about animals and people. It's about being helpful and being adventurous. Children will enjoy this book as they bond with the children, Mrs. Falala and her animals." "Sharon Creech (author of Walk Two Moons, and Ruby Holler, and Love That Dog among other titles) has a new book that is just out. It is called Moo, and I love it! 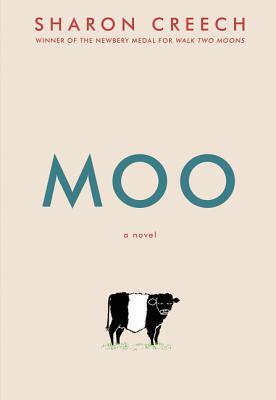 Moo is a book about a family that moves from the big city to a small beach town in Maine. Reena and her brother Luke have been volunteered by their parents to help an old woman in the community. Mrs. Falala lives on an old farm and has several pets, including an ornery Belted Galloway. Belted Galloways are a specific breed of cow that is black in the front and rear ends, and white in the middle. This specific cow's name is Zora. Zora seems mean at first, but as the children get to know her and work with her she gets nicer. This is a book about learning about animals and people. It's about being helpful and being adventurous.Children will enjoy this book as they bond with the children, Mrs. Falala, and her animals." 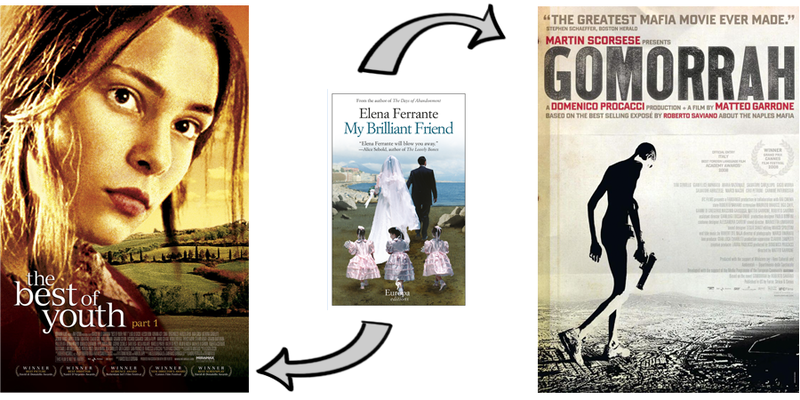 We found this TERRIFIC book/movie/tv show pairing from NPR, the perfect cure for that horrible feeling you get when you finish a wonderful book, and wish there was more. Read the rest of the article here. Do it, really. It's super great. 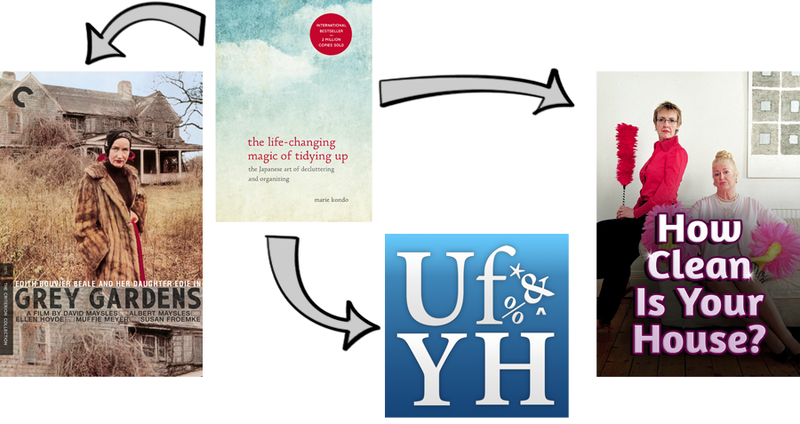 Article by Nicole Cohen, Rose Friedman, Petra Mayer, and Beth Novey. Are you ready?? 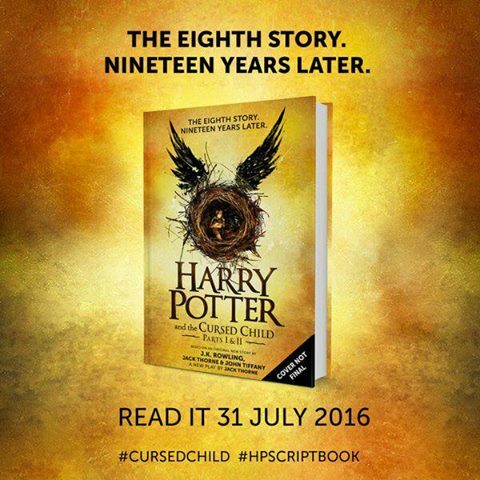 Harry Potter and the Cursed Child comes out this Sunday, July 31st! We'll have plenty of copies available, but if you're worried about getting one, reserve yours today by calling the store at (509)965-5830 or emailing orders@inklingsbookshop.com! 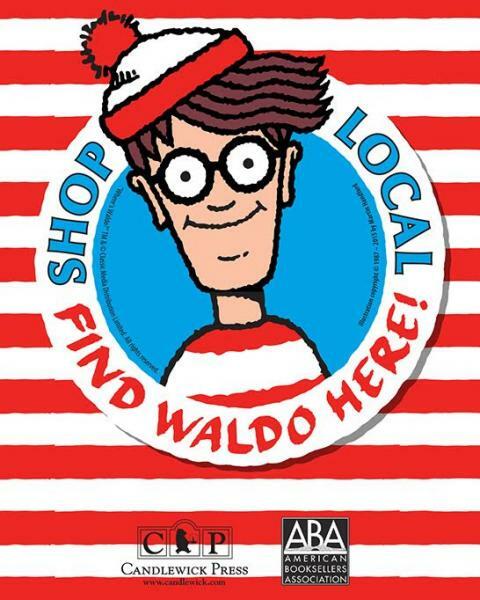 If you've been looking for Waldo all July, tomorrow is the big day! Come at 11am to celebrate, join in the party and maybe even get a prize! You may have spent all month looking for Waldo, but now is the time to start looking for your red bag! This is your official reminder! Tomorrow (July 30th) is a 5th Saturday! See you there, Friends of Inklings! (For those not in the know, if you're a member of our rewards program and have made at least six purchases, you are eligible for a red tote bag that gets you 20% off everything you can squeeze inside it* on any 5th Saturday of the month. If you don't already have a Friends of Inklings membership just ask us to sign you up the next time you're in store and you'll be on your way to getting this discount at our next 5th Saturday event in October!) *Anything whose proceeds go to a non-profit or charitable cause, like Cowiche Canyon Jewelry, will not be discounted. 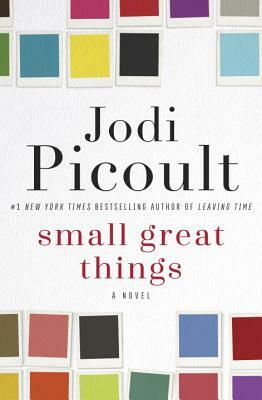 Read more about So many good things! 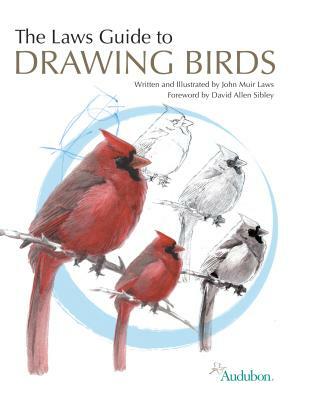 I was so happy to receive The Laws Guide to Drawing Birds, by John Muir Laws (Audubon/Heyday, $24.95) from my boss, Susan. I can't wait to try it out, I just LOVE birds.